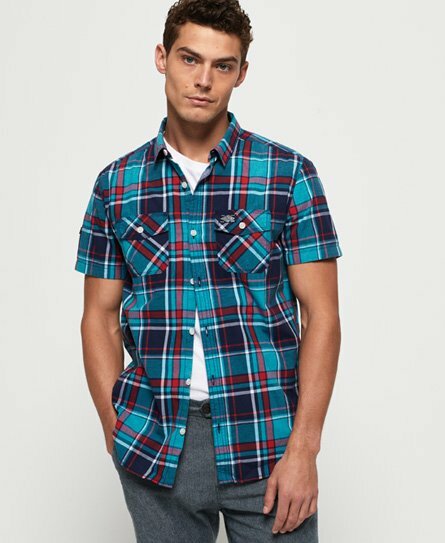 Superdry men's Washbasket short sleeve shirt.This classic style shirt features short sleeves, main button down fastening and two chest pockets. Finished with a Superdry logo tab on the side seam and a Superdry logo badge on one pocket and sleeve. Clean, crisp and classic this shirt is perfect for layering over a classic white tee.